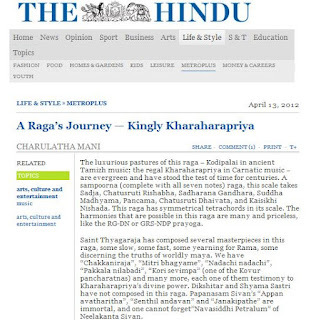 I'm a student of Carnatic music and I follow your fortnighty column A raga's journey on the Hindu with out fail. it is very nice!! by the way this song http://www.youtube.com/watch?v=GqNEgaK0YHw Mellisaiye en idhayathin mellisaiye from Mr.Romeo is also based on Karaharapriya?? 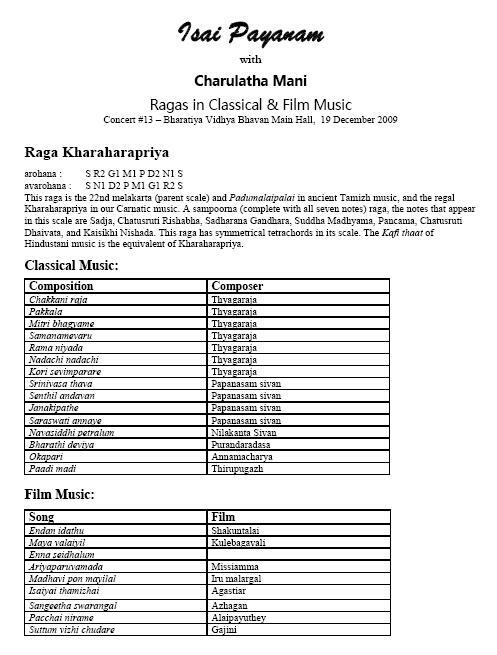 Great Charulata.. Karahara priya is my most fav raga.. Your narration n rendation of rama nee samana is amazing. 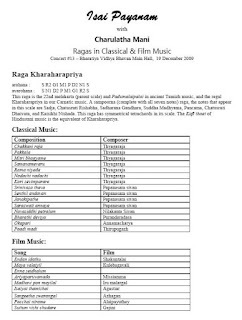 Also you posted great clippings of film songs based on this raga..
Nice Work... Pls continue by opening free education on music to the interested poor people.